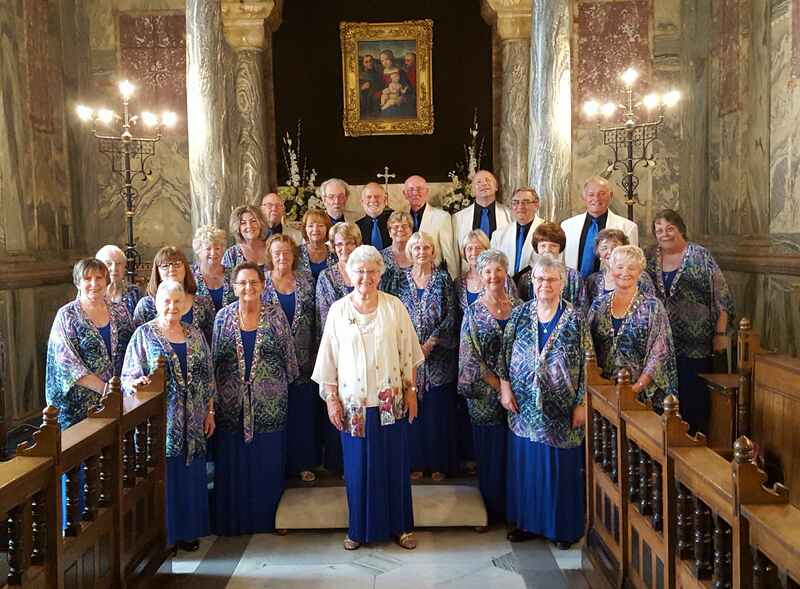 Why not have the choir to sing at your wedding? Many churches and venues do not have a choir and we can enhance your special day and improve the sound on your video recording. These pictures show Musical Director, Margaret Pringle and some of the choir members at Wynyard Hall, Billingham at the wedding of Rachel and Nick on Friday, July 21st 2017. As well as singing hymns with the guests, we sang "Can't help falling in love with you " while the register was signed.